Award season is now in full swing. 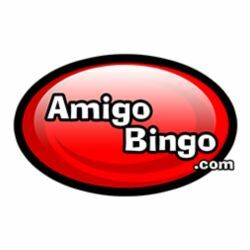 Amigo Bingo is rolling out the red carpet every weekend in January to host a $150,000 VIP Bingo Tourney Event worthy of an Oscar. Win your share of over $25,000 in GUARANTEED JACKPOTS and prizes. All games play for a low cost of $0.50-$1 Cash a card and a Buy 30 get 5 Free offer that guarantees you will best time of your life – Prebuys Available! Plus! VIP of the week: Each Sunday night the Chat Host will select a roomie to be VIP of the week. The lucky player(s) will receive special gifts and bonuses throughout the week. If you are not a VIP yet, climb your way up the loyalty ladder and you too can enjoy all the amazing benefits being a VIP can bring you at AmigoBingo. But wait, there’s more! Join Amigo for their annual Chat Host Choice Awards on Facebook; hence, they have got lots of surprises in store for you! Follow on Facebook to stay up-to-date with all of the latest bingo news and take part in the contest. Dress to impress roomies, the paparazzi will be waiting!